Andrea is a Beebe native, has returned to join the staff as Development Officer/Major Gifts in the office of Institutional Advancement. She graduated from Beebe High School and attended ASU-Beebe before continuing her education and achieved a Bachelor of Science Degree in Sports Management from A-State in Jonesboro. Following college she spent nine years with the A-State Athletics Department working in marketing, events planning, public relations, development, fundraising and contributed to the development of ASU's former spirit character "RED." 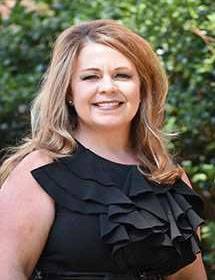 She later served as Assistant Vice President of Marketing at SynTel, LLC, and was most recently a RE/MAX Real Estate agent for several years in Jonesboro. Andrea has a keen understanding of the need for relationship building, and looks forward to working with University staff, donors, alumni and the community to enhance the legacy and build a strong future for ASU-Beebe.